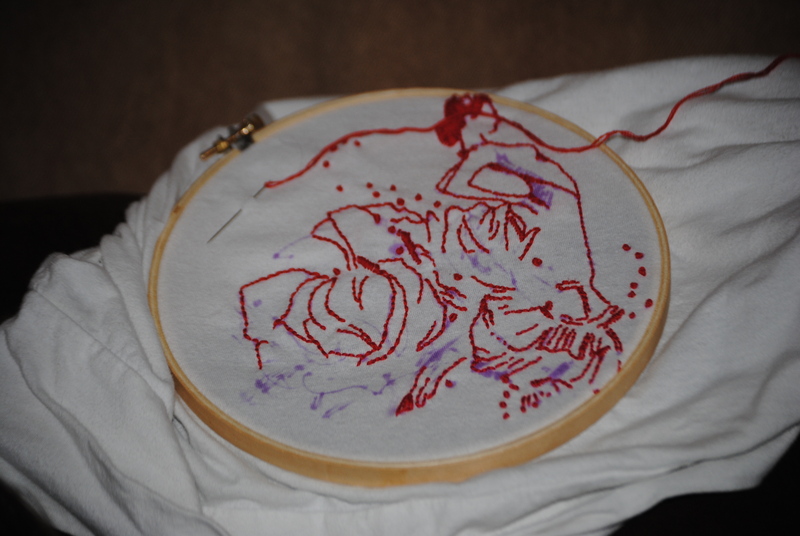 I’m a noob to hand embroidery…I have done it a handful of times and I haven’t touched my needles for almost a year…but I love to create and I wanted to do something that didn’t include yarn. PLUS, when I do something, I need to super do it. It is a work in progress and right now, this last photo is where I am. It started as a tracing of a beautiful image of a flamenco dancer I found using google and now it is turning into something much more. I have turned her dress into a rose and I may actually put two in there. I don’t know how it will turn out, since I’m free handing on and off. It is nice to be so excited for a project and slowly creating something that is beautiful. I don’t think there is nothing better than creating something from nothing. This entry was posted in Art and tagged art, craft, crafts, creating, diy, embroidery, expression, hand, needle, outlet, red, thread by themcdorkins. Bookmark the permalink. Awesome! 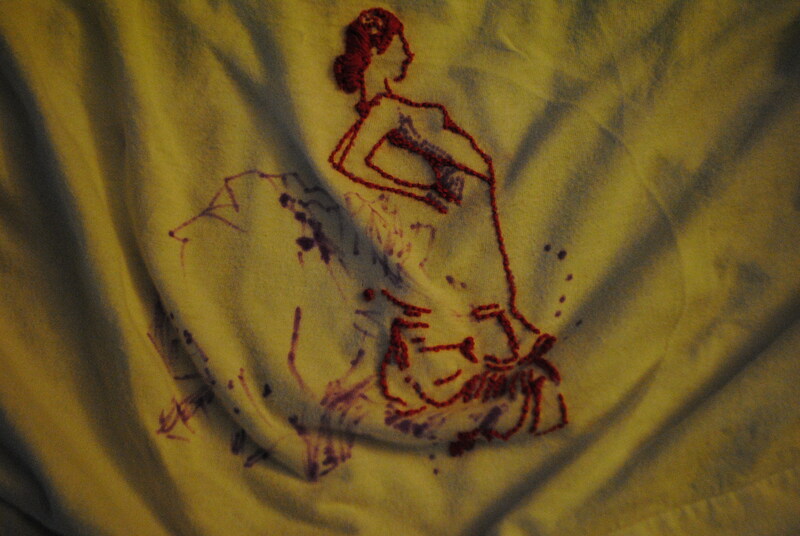 I’m fairly new to embroidery as well. You did a great job so far, it looks beautiful! Thank you! I am trying to take my time with this one project, since every time I have tried embroidery before, I kind of jumped ship and moved on to the next project before I was halfway finished the first.